The one crossover fic on the site that I’ve read and fully enjoyed was MDG’s “New Threat.” Go check it out. Unless, if you’re like me and can’t stand to start something that isn’t finished yet and have to wait for the rest to be posted (hint hint). It’s a REALLY good crack at combining Doctor Who and Star Trek. And after the rumors of the possibility of ENT/Dr. Who crossovers if ENT had continued, and now the comic book that was released with Matt Smith’s Doctor and the Enterprise-D joining up, the two shows seem to just beg to be thrown together. Ok, maybe not beg, but dammit they play well together! And if you haven’t read MDG’s New Threat, go. Now. Read. It’s fun! As far as for me, I’m a bit inspired to try my hand at a Doctor Who story, but I’m not sure about mashing Rafale with it, and which Doctor I’d use, especially since I’m a bit limited on my knowledge (we started with Eccleston and just got to Matt Smith two days ago). I know I’m also going to bring in a few elements here and there from other places – if you’re familiar with the Mass Effect series, you might start to recognize a few elements here and there in coming stories. The main crossover I’m working on is a TRON crossover. It’s still in the works, and still a ways off, but I’m really excited about it, and I think it’s going to be really fun to do. “What now?” She asked quietly, looking down at Sark’s remains. 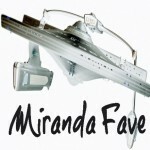 Obviously, I like crossovers in Star Trek. Fan Fiction is the best place, I feel, for crossovers of this kind of magnitude to live and be enjoyed more fully. We can do anything we want – within reason – in this realm of fan fiction. And it only makes the Sci-Fi that much better. IDIC, right? Crossovers are the epitome of that phrase. Oooh, that would be fun, especially considering the origins of the characters. It is awesome! I get why you want to turn to your partner in germ-warfare and say ‘Are you my Mummy?’ and I kinda want you to and want to see your partner’s face. Hee, hee. That’s a chuckle that is going to stick with me throughout the day. Admittedly, I’m not big on crossovers. Mostly, because I’ve read too many that were bad. I do think there is potential to it right and some are probably more able to cross over with one another that others. I kinda do think Who and Trek has that potential (and I will presume that you have already read Gibraltar’s Geometries of Chance for a big nod therein). That said, I do like the idea of taking elements from other settings and utilizing them within the Trekverse moreso that a straight crossover. I’ve blended certain aspects within the Watchtower Universe from Firefly, Star Wars and an alien species from Mass Effect too, and more may happen in the far future as that series develops. More in my own prompt response I am sure. P.S. Love Tron! Especially the soundtrack. So let me know when that happens and I’ll be all over that Crossover. And yeah, IDIC for the word. I’ll have to stop being such a snob or just read better examples of Crossovers. Templar Sola, nice blog post, on the theme, that a hard hit on the new Doctor Who watching.